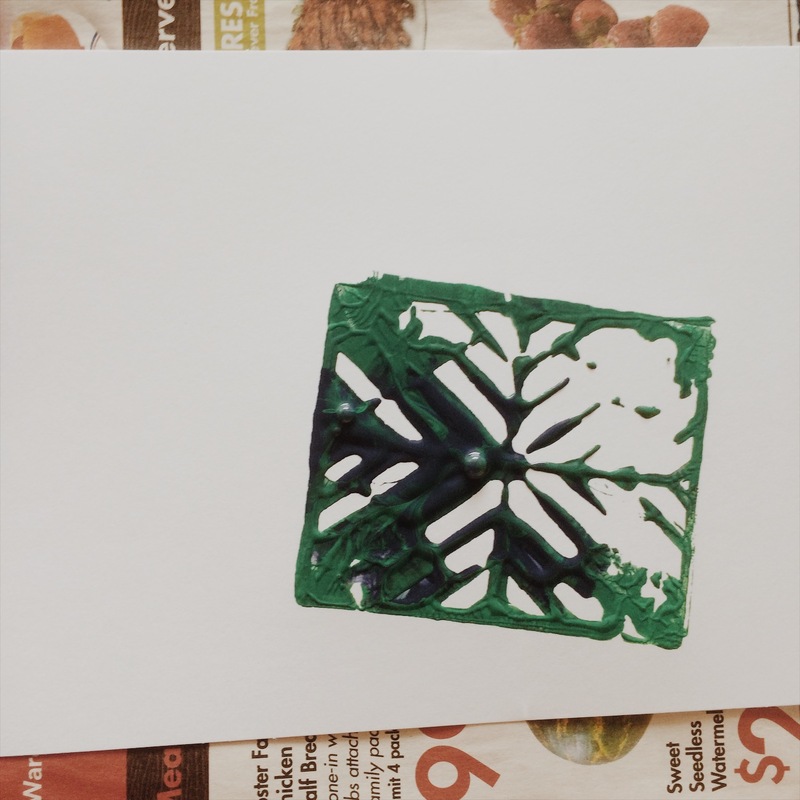 This week, we used the Strawberry Festival in our hometown as inspiration and used our leftover strawberry baskets to create printed cards. Berry baskets worked well as painting for kids. 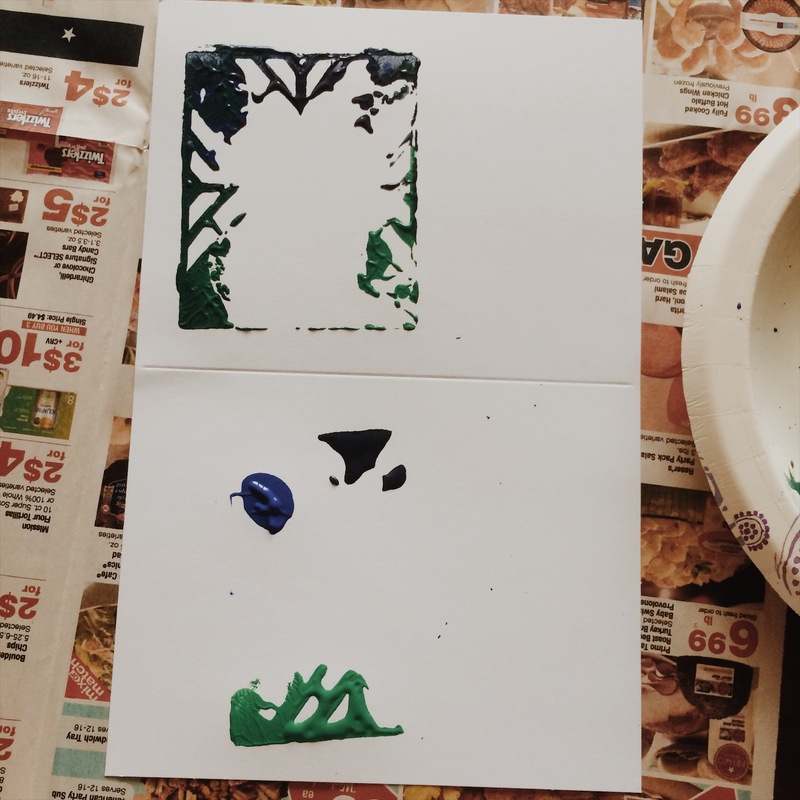 We used tempra and acrylic paint in blues and greens poured out on some paper plates. I put down newspaper because you never know how big and creative the mess will be! 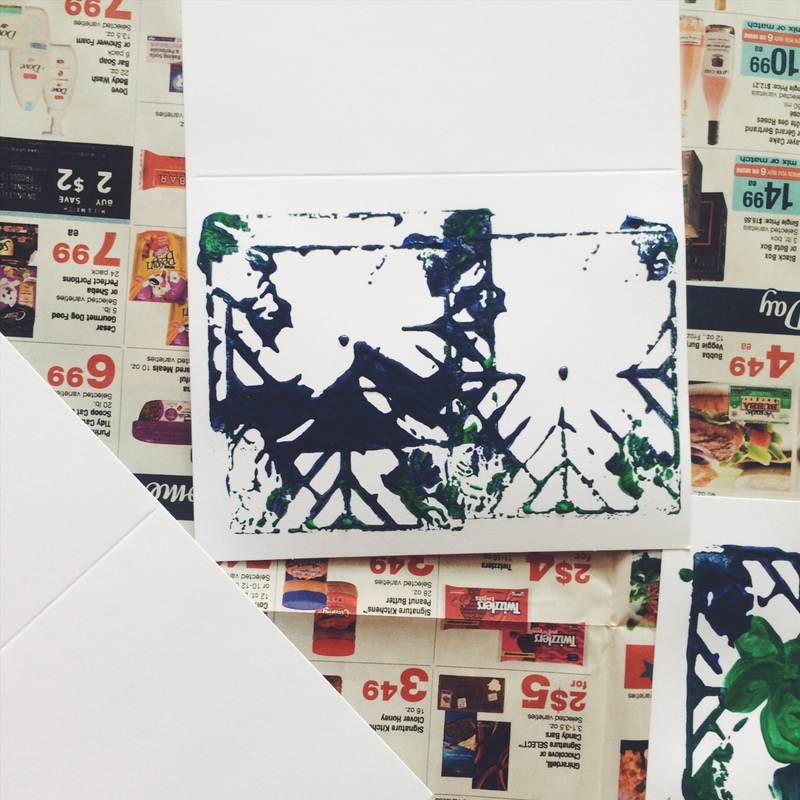 I happened to have these sweet blank cards and envelopes leftover similar to these. 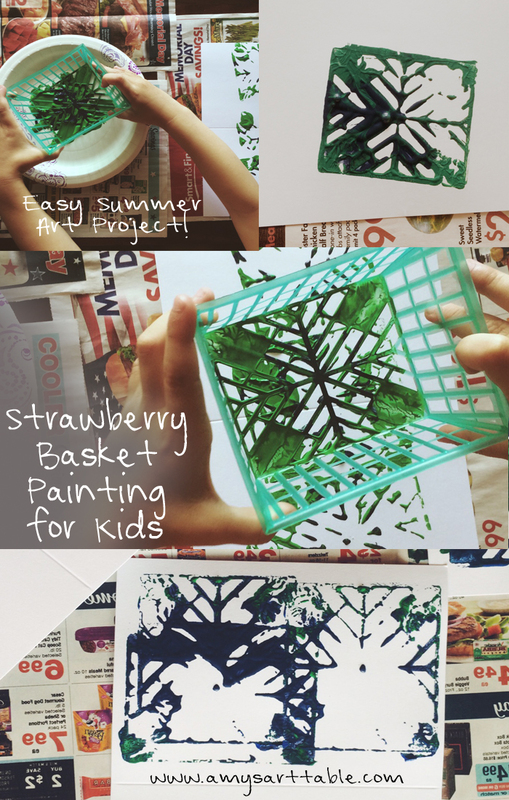 They fit the berry basket size well and worked as a paper for painting for kids. I am thinking that we can even use these printed cards the kids made for Father’s day, they remind me of plaid print which ties in well for dads. 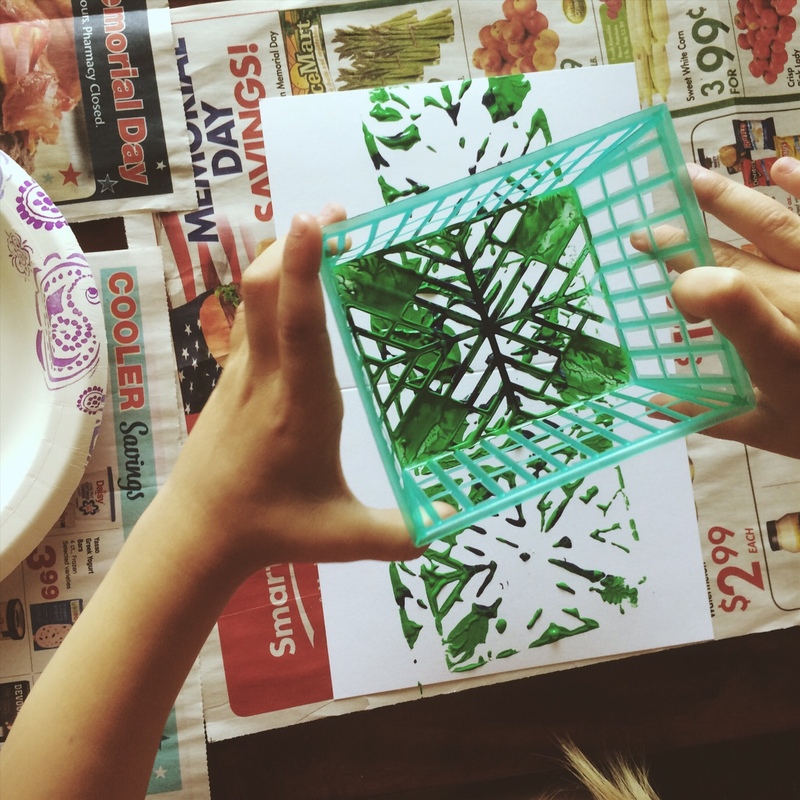 After we spread blank cards and envelopes out I let the kids start dipping their baskets into the paint and printing away. I love what they came up with and in typical progression, the project ended up much more creative than I had anticipated. We ended up with a few finger paintings amongst the prints and a few frames later filled in with paint brush paintings. 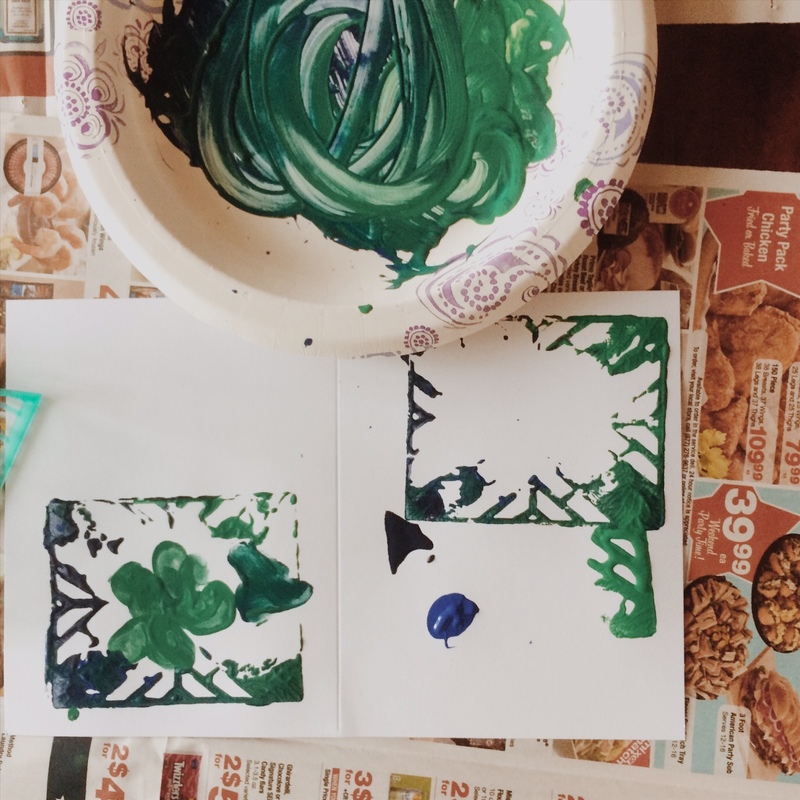 Overall, this project is a simple idea and fun painting for kids to do on a random day at home. 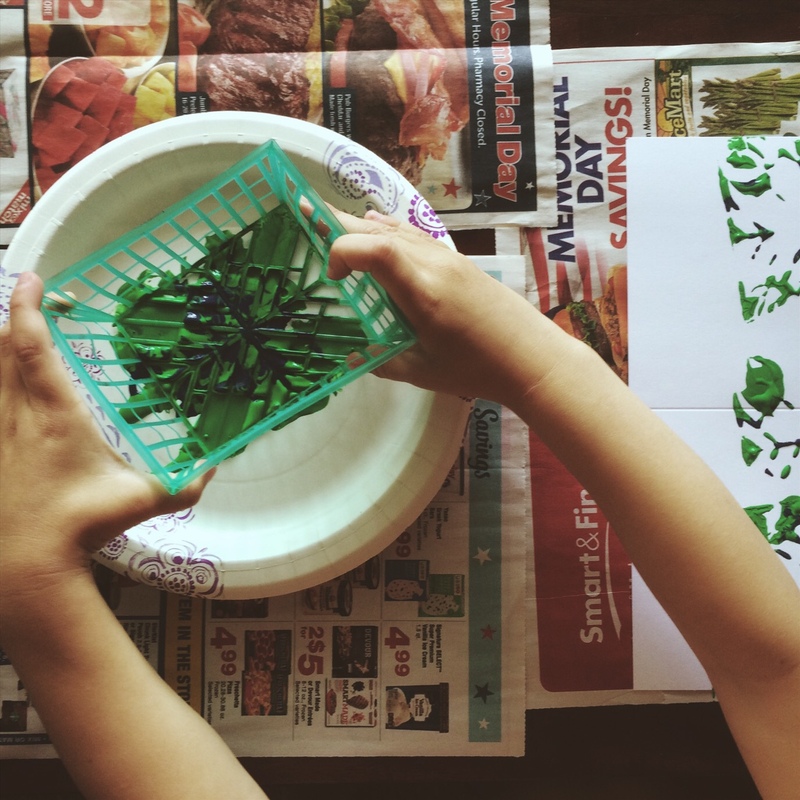 I love to do these projects after school when my kids start getting a little wound up. Usually it happens around 3 or 4 o’clock. Maybe you can relate? This Summer, check back for lots more ideas on drawing, DIY and painting for kids to keep you and your family busy and learning together. Also, if you haven’t already, check out my youtube art lessons. I hope to add to those this Summer too.